Are you ready for Labor Day weekend? Any big plans? How about a Backyard BBQ! 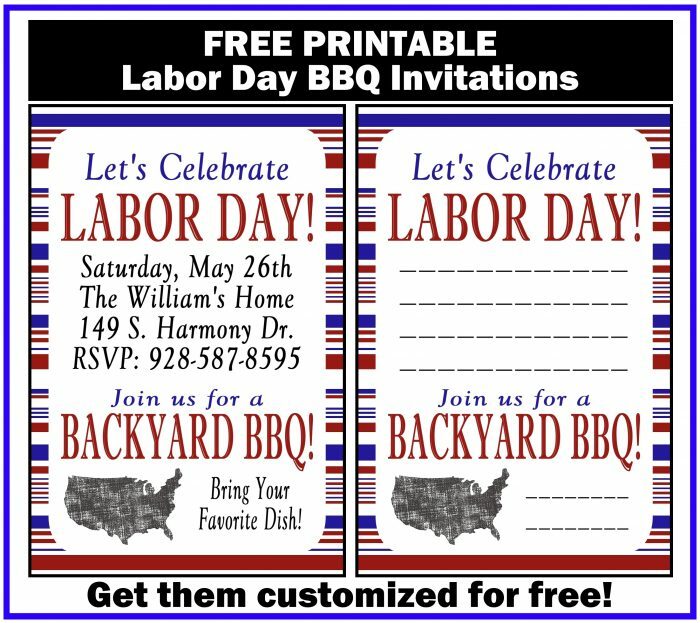 We make it easy with this free, Labor Day BBQ Printable Invitation! These invitations print two to a page. Simply download the free PDF file below, print onto cardstock or heavy weighted paper, and fill in your details! Then send an email with the details! Be sure to include date, time, place and any RSVP information you want included on the invitation and I’ll send you a customized copy! Send the details EXACTLY as you want them to appear on the invitation. *Customized invitations will be sent within 24 hours (typically much sooner). If it has been longer than 24 hours, please contact us to ensure the request has been received. Next: Next post: 100 Awesome Father’s Day Printables! Thank you for customizing this for me. It looks great! I really appreciate your time.